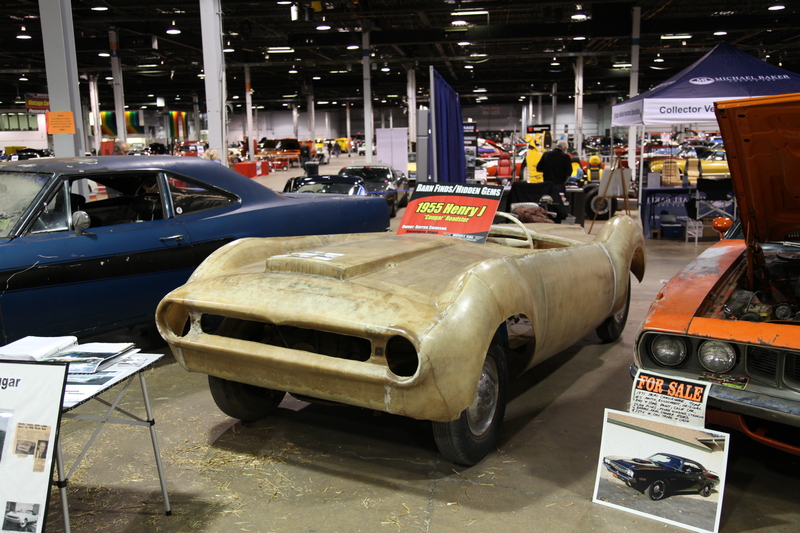 Home » Shows & Events » 2013 Muscle Car and Corvette Nationals – Barn Finds That Will Make You Breath Hard! Bob Ashton, who directed the 2013 Muscle Car and Corvette Nationals event, not only looked high and low for rare or unique super cars, concept vehicles and one owners, but he must have looked under rocks and hay bales to track down the 22 “barn finds” that were displayed at the annual show held in Rosemont, Illinois in November. 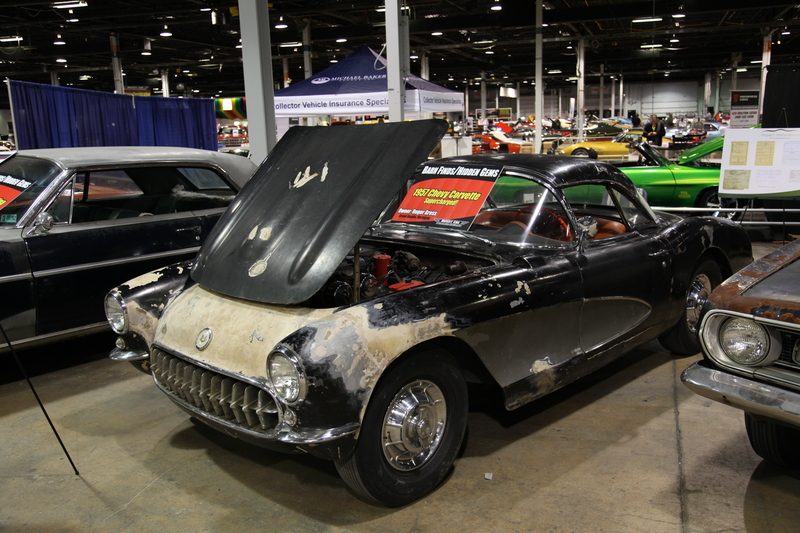 1957 Supercharged Corvette owned by Roger Gress. Yup…it’s all there. 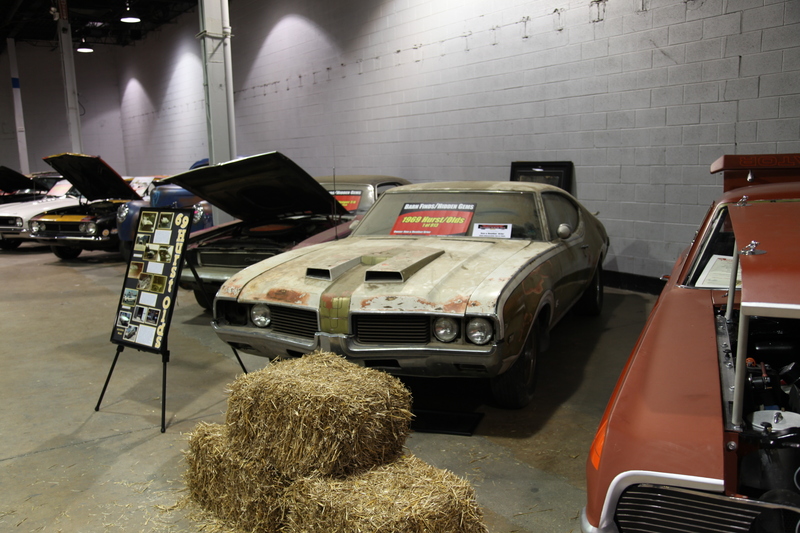 Barn finds are another relatively “new” car show entry with more and more cars and trucks turning up from storage units, sheds, long sealed garages and, of course, barns. The “finds” are also running the gamut of rarity, some having a brief history as a family driver or as a quarter miler that someone decided to stash away, maybe when the money ran out. Whatever the reason, these relics are interesting to view and the MCACN show allowed spectators to not only see but touch the goods. You got to take a bit of the dirt and grime home with you! 1955 Henry J Cougar Roadster. Ever heard of one of these? I’m the owner of the 1955 Cougar/Henry J and wanted to say thank you for sharing your photo of the car. The car (body) was designed and built by William Papineau, a teacher (Social Studies) at Bentley High School in Levonia, Mi. He built between 7 and 10 cars total, on various chassis. 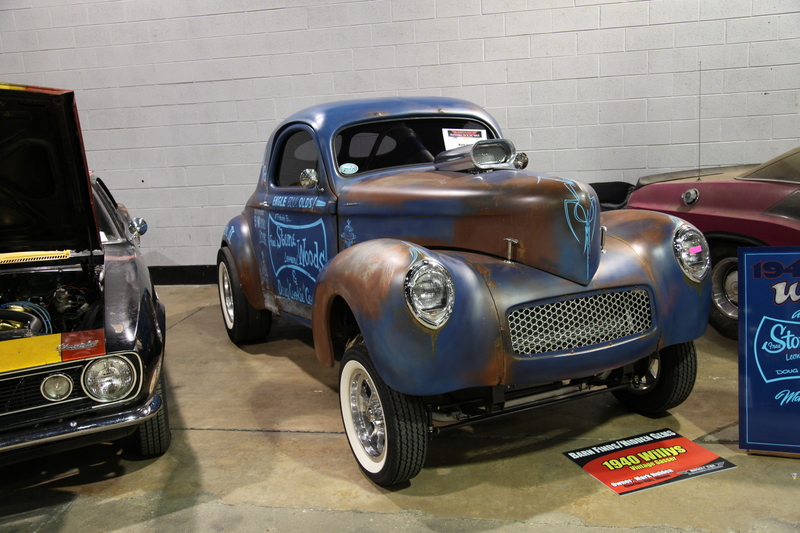 The first was on a 1940 Ford, another on a Studebaker, two on Henry J’s (this is one of them), and we know that one body was sold to someone who intended to put it on a race chassis and run it at the 1956 Pikes Peak Hill Climb race. The Cougar I own was never completed, and sits on a “new 1951 Kaiser Henry J. The engine and chassis remained at the factory until July 1954, when they were sold to the first owner, Edwin Hasley, a tool and die maker from Detroit, Mi. The body and chassis were “married” and remained in the back of the tool and die shop until Mr. Hasley passed in August 1999. My current goal is to try and find other examples of this car, with the hope that we can reunite William, his family, and the car for a brief period of time. 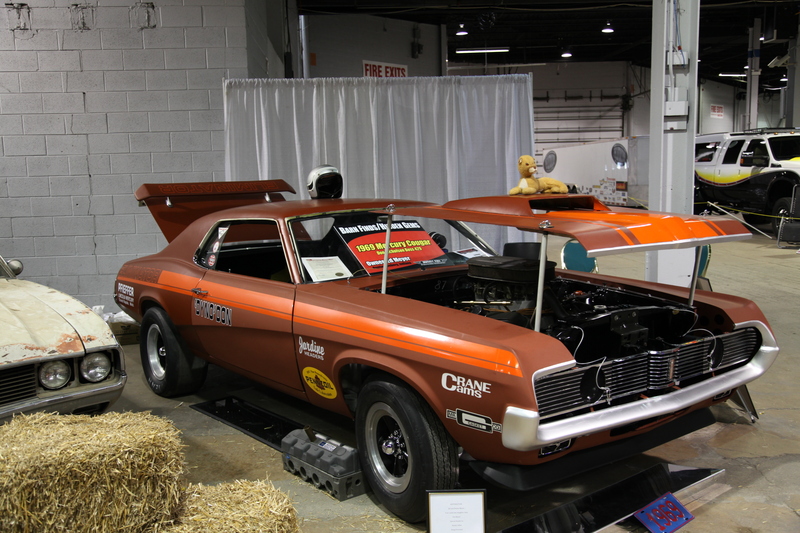 “Dyno” Don Nicholson’s former Boss 429 1969 Mercury Cougar now owned by Ed Meyer, Huntingtonberg, IN. 1968 Camaro L-78 396/375 bought in 1983 by Jim McMillian, sold and found again in 2006, restored by Jim’s son, Taylor who currently owns it. Taylor is from St. Joseph, MO. 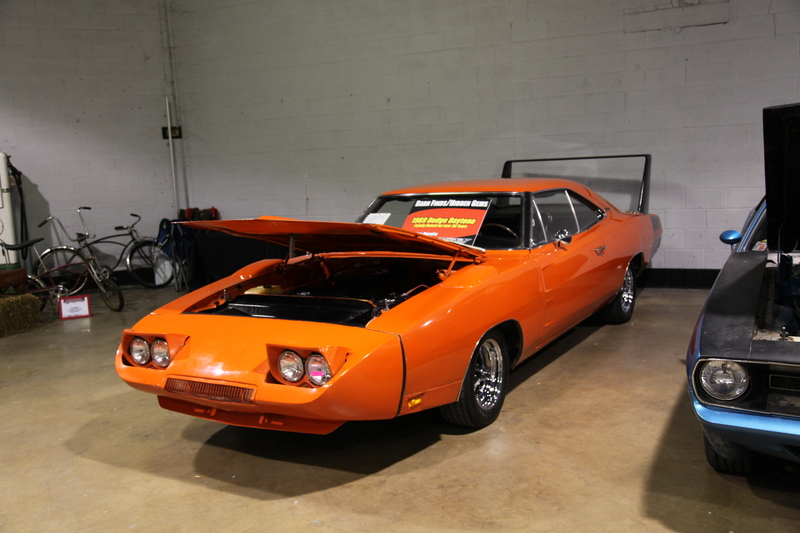 1969 Dodge Daytona, owned by same family for over 30 years, owned by Jim Murphy of Huntley, IL. 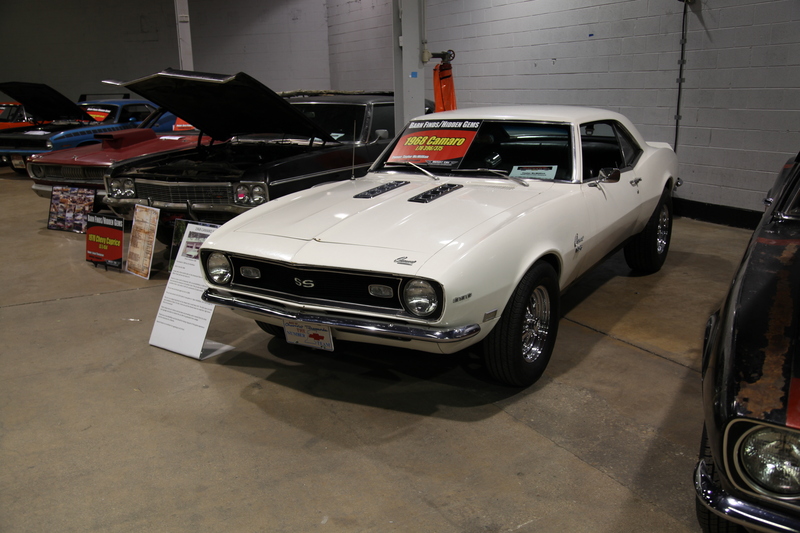 I came across your site as I was surfing the web and saw a picture of my car from the MCACN show, 69 Hurst Olds. Please note that Ron should be listed as the owner and not Greg. Thanks.